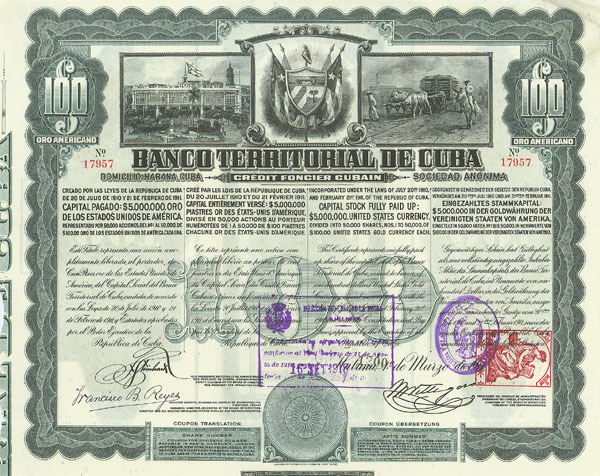 "Tú tienes tu razón, tenemos tu préstamo"
Over 150 years ago, bonds were sold to build railroads in Eastern Cuba. The people of Cuba are increasingly divesting themselves of outdated, failed theories of Marxist communism and embracing capitalism in the best entrepreneurial spirit. Communism in Cuba has accomplished very little in Cuba regarding infrastructure, personal motivation and economic well being. Despite Cuba having full trade relations with Germany, Argentina, Canada and Japan, Cuba does not have medicine, beef, wheat or modern transportation for its citizens. The people of Cuba no longer believe the USA Embargo is the cause for their woes and poor living conditions. The root cause of Cuba's economic dilemma is mismanaged socialism and the lack of true multiparty democracy, not capitalism. Social democracies like Sweden, Norway and others do just fine by their citizens. While in public, almost all Cubans chant the Party line regarding socialism and the constant struggle to keep socialism forever in Cuba, privately Cubans are driving cabs, opening casas and paladares, and doing just about anything legally for USA dollars or Euros. We believe the return of individualism, capitalism, and a true multiparty social democracy, as are now in Norway or Sweden, will occur in Cuba. 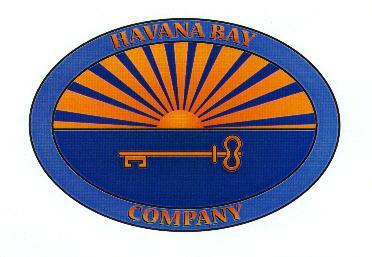 We serve as a private business information resource, marketing facilitator, and offer other services to USA businesses who are interested in licensed USA sales of agricultural or medical products to Cuba or entrepreneurs in Cuba who are not associated with and act independently from the government of Cuba. © Copyright 1998-2015 All rights reserved.